Cracked your motorhome windshield? Need it repaired or replaced? We’re here for you 24/7. Call us now: 855-778-4527! 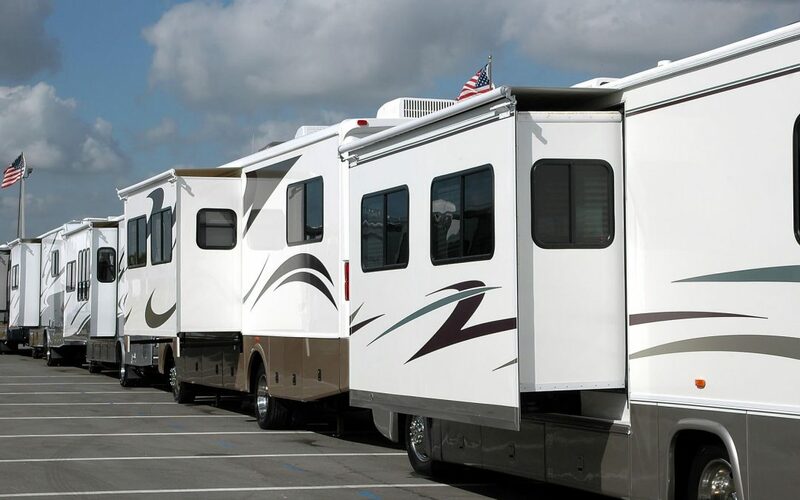 Motorhomes are some of the largest and most spacious recreational vehicles on the market. They come in several sizes and classes which set them apart from travel trailers and other RVs out there. They often have multiple living spaces, full bathrooms, appliances and other luxury accommodations that make them a true home away from home. So, What Are Class A Motorhomes? Class A Motorhomes are also known as integrated motorhomes. They are the biggest type of motorhome and offer the best amenities and luxuries for owners. The body of the Class A motorhome is beyond sturdy, and the living space is built around it. The size of these motorhomes allows for multiple rooms, appliances and more you wouldn’t always find in the area of a Class B or Class C motorhome. A Class A motorhome can fit upwards of eight people comfortably depending on its final size and what features are built in. Much of the living space can be converted into bunks, and these often have dedicated “master” bedrooms similar to how a house or small apartment would utilize the space. Full bathrooms and even additional half bathrooms are also a common sight in Class A motorhomes. When people throw the term “RV” around, they’re usually referring to Class A motorhomes. These units are the ones most see on the road, and they often don’t realize the differences between Class B and Class C motorhomes. Class A motorhomes are often associated with traveling bands, politicians on the campaign trail and celebrities traversing across the country. Class A motorhomes can start in the lower $70,000 price range and go into the millions depending on how you want the layout to look and what features you want to be added. They tend to have several slide out bays, along with large windowpanes. Many Class A motorhomes also come with “basement storage” that can help make it more comfortable to take everything you’d ever need on the road with you. Class A motorhomes are the biggest and brightest of the motorhome market. For those investing in one, it’s a lifestyle changer. They can offer the comfort of home when you hit the road like no other motorhome or trailer on the market. How long do you want your motorhome to be? How many rooms do you need to accommodate everyone? Do you want a washer, dryer, dishwasher or other appliances? How many bathrooms do you want, and do you need full or half ones? Do you need basement storage options? How many slide out bays do you want? What entertainment features do you want built-in: TVs, stereo systems or gaming consoles? Class A motorhomes are worth the investment if you travel a lot, love spending time with your family and friends or want to see the country in a new way. Over the long run, a motorhome can be less expensive than traditional vacationing if you’re ready to make the buy. No matter the issue you’re having with your motorhome glass, we can help repair or replace it. Call 855-778-4527 now and talk to one of our motorhome glass specialists to get the ball rolling.